This beautiful shamrock cross with its clean sweeping lines and highly polished finish is sure to delight. 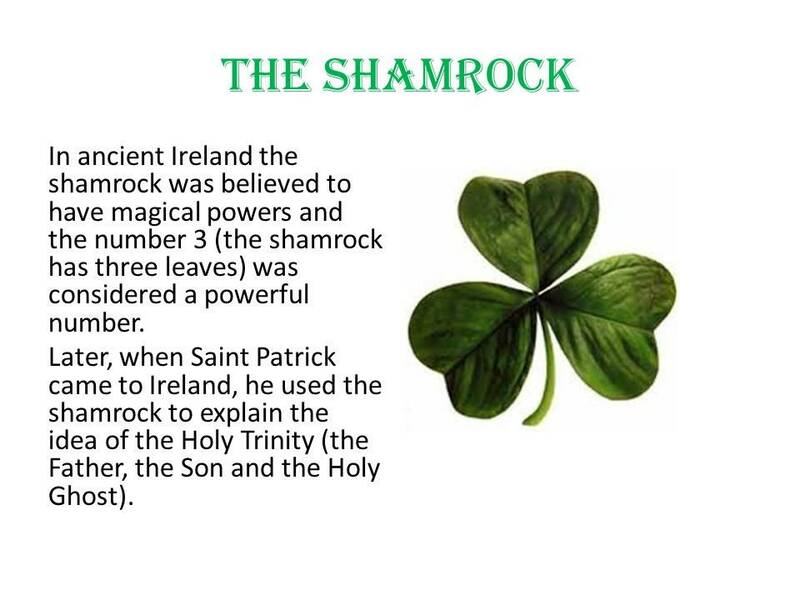 And the position of a shamrock at its center has a beautiful resonance with Irish folklore and history. Ireland's patron saint, Saint Patrick, came to Ireland in the 5th century with the mission of spreading the message of Christianity to the people of Ireland, his first step was to meet with the pagan high kings of Ireland and to convince them to allow him to spread his Christian word. Standing before them he reached down to the grasses at his feet and plucked a shamrock, he used this single shamrock to explain to the high kings how the Holy Father, the Holy Son and The Holy Spirit could all be part of one being. The high kings were amazed and gave St Patrick their permission to go and spread the message of Christianity to the people of Ireland. 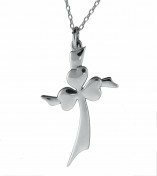 18 inch sterling silver chain - Height: 40mm - Width: 22mm - All measurements include fittings - Solid Sterling Silver on an 18" chain. So how did the shamrock become an emblem of Ireland? It wasn't until the 17th century that it became the custom to wear the shamrock on the feast of Ireland's patron saint; until then, the Irish wore a special St. Patrick's cross, made just for the occasion. Then, in the late 18th century, the shamrock was adopted as an emblem by the Volunteers of 1777. But it didn't really become widely popular until the 19th century, when the emerging Nationalist movements took the shamrock, along with the harp, as one of their emblems. Viewed as an act of rebellion in Victorian England, Irish regiments were forbidden to display it. This one single act may have done more to establish the shamrock as Ireland's national emblem than anything else. Today, the shamrock is firmly established as the most instantly recognizable emblem of Ireland. For good luck, it's usually included in the bouquet of an Irish bride, and also in the boutonniere of the groom. And, it's also an integral part of an old tradition called "drowning the shamrock." This takes place on St. Patrick's Day, when the shamrock that has been worn in the hat or lapel is removed and put into the last drink of the evening. A toast is proposed and then, when the toast has been honored, the shamrock is taken from the bottom of the glass and thrown over the left shoulder. Sláinte!